Tri-Data provides service bureau scanning services as well as hardware and software solutions to meet your document management needs. At Tri-Data, we know one size does NOT fit all. That is why our mix of services offer our clients the best possible solutions. From scanning a single department’s records to implementing multi-location document workflow processes, Tri-Data has the combined experience, state-of-the-art technology, and highly trained staff to provide a unique combination of services and solutions that generate superior results. Want a free professional evaluation, recommendation or estimate to convert your hardcopy files to digital images click the link below. Tri-Data Inc. is a document management company located in Huntington WV that provides Data Management to many different types of businesses. Tri-Data provides DataVault, Document Scanning, Software Solutions, Hosting Solutions, Scan-On-Demand, Microfilm Conversion, Domain Names, Record Storage, Document Shredding, Document Destruction, and OCR Processing to the following cities and surrounding communities throughout West Virginia, Ohio, and Kentucky. Save time by easily finding documents and files in organized computer folders. Be able to search thousands of documents in seconds without having to rummage through file cabinets. File cabinets in every corner? 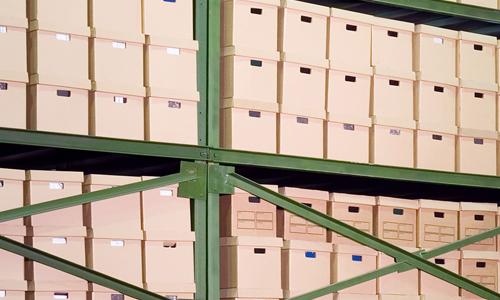 Document scanning allows you to get rid of those obstructing storage units. Easily label, assign, categorize documents without having to write and manually file folders. Tri-Data Inc. is a document management company located in Huntington WV that provides Data Management too many different types of businesses. Tri-Data provides DataVault, Document Scanning, Software Solutions, Hosting Solutions, Scan-On-Demand, Domain Names, Record Storage, Document Shredding, Document Destruction, and OCR Processing. Tri-Data provides all their Data Management to the industries of Healthcare, Banking, Construction, Education, Financial Services, Government, Human Resources, Insurance, Law, Manufacturing, Mortgage Lending, Publishing, Retail, Transportation, Utilities, and etc. Tri-Data can help any business better manage, backup, and secure their documents throughout Beckley, Charleston, Clarksburg, Fairmount, Huntington, Martinsburg, Morgantown, Parkersburg, Princeton, Wheeling, Chillicothe, Cincinnati, Circleville, Columbus, Dayton, Lancaster, Ironton, Portsmouth, Ashland, Florence, Georgetown, Lexington, Richmond, and surrounding communities throughout West Virginia, Kentucky, and Ohio. Copyright © 2016 Tri-Data Inc. All Rights Reserved. Designed by GraFitz Group NetworkWebsite Designs.